A child was placed in protective custody yesterday after police officers identified a possible injury. 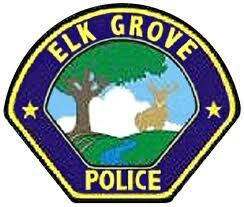 Yesterday afternoon Elk Grove Police officers were dispatched to the 8400 block of Elk Grove Boulevard regarding panhandling activities. Officers contacted 31-year old Cara Pula of Rancho Cordova who was with her child. Upon contact, officers observed that her one-year old child had an injury on her wrist and that it appeared to be infected. The Cosumnes Community Services District paramedics responded to the scene to examine the child. Pula refused treatment for her child and provided false information about her identity. Based on the child's injury, the officers placed the child in protective custody. The suspect was arrested, issued misdemeanor citations for child endangerment and providing false identity information and was released.